Since 1952, Angotti & Straface Attorneys at Law L.C. in Morgantown, WV, has been serving the needs of parents seeking to meet the best interests of their children. Our law firm has extensive experience handling all types of child custody cases and we know precisely how the court system handles child custody cases. We understand how intensely stressful and emotional this time of your life may be, and are committed to assisting you to move through this period as promptly as possible, while keeping you fully informed. Our law firm is one of West Virginia’s most distinguished and trusted family law legal practices. We have successfully assisted numerous loving parents by providing readily available personal assistance, answers to our client’s pressing questions, and exceptional legal guidance. How is Child Custody Determined in West Virginia? Child custody in the state of West Virginia is determined primarily based upon what serves the best interests of the child. Many factors are involved in making this decision, including allocating a level of responsibility and time spent taking care of the child similar to that which existed prior to the divorce/separation. However, the court also carefully considers the stability of the child, the parenting plan, the parents’ agreement regarding custodial arrangements, security from physical and emotional harm, continuance of existing parent-child attachments and meaningful contact, existing care-taking arrangements, each parent’s ability to care for the child’s needs, and the priority placed on those needs. All relevant factors will be considered when determining legal custody, physical custody, and visitation of your children. Our law firm assists you by analyzing your situation with personalized attention, offering firm negotiation, and solid litigation. As a secondary consideration (behind the best interests of the child, all other matters being equal), the judge handling your case will also attempt to determine the custody of your child fairly in respect to each parent. 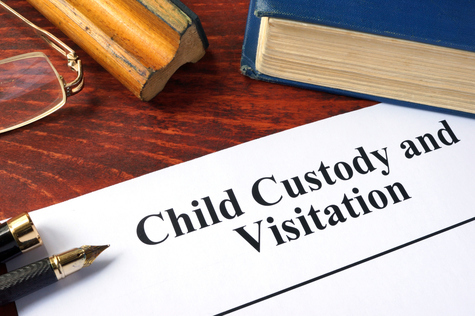 Several rulings are possible, including joint custody, sole custody (granted to one parent alone, with visitation rights granted to the non-custodial parents), and sole custody without visitation. A proposed parenting plan must be filed by the person(s) seeking custody of the child. A joint parenting plan drafted by both parents may also be submitted for consideration by the court. The child custody legal team at Angotti & Straface can assist you with drafting your parenting plan. Situations change. If your child custody agreement requires modification for any reason, our law firm provides assistance to file and present evidence to have the initial child custody ruling modified to best meet the interests of the child, as well as the parents. Some common reasons why a custody order may require modification include relocation for employment, military service, loss of employment, and other issues that may affect the parenting time and resources available for the child. If one of the parents refuse or are otherwise unable to meet the conditions specified in the custody agreement or parenting plan, the attorneys of Angotti & Straface will file litigation regarding enforcement of the child custody ruling. Contact Angotti & Straface Attorneys at Law L.C. to schedule your complimentary initial consultation to discuss your child custody-related legal matter at: (304) 292-4381.